Imagine you are a critical care pharmacist at a large teaching hospital. During the ward round, the intensivist enquires about the appropriate infusion rate of intravenous nutrition for a cachexic patient with burns to 60% of their body, who is currently fluid overloaded. A nurse then approaches you about a septic patient with two central lines but four drugs to administer. Which of the drugs can be mixed? Which can be administered as a bolus and which via a Y-site connection? Being able to handle complex clinical queries such as these in a high-pressure environment makes specialist pharmacists an indispensible part of the critical care multidisciplinary team (MDT). Mark Tomlin, consultant critical care pharmacist at Southampton Hospitals NHS Foundation Trust, has spent a quarter of a century working in critical care, where he has seen the pharmacist’s role evolve considerably. As a junior pharmacist, Tomlin would visit the intensive care unit (ICU) in his lunch hour to satisfy his curiosity with critical care. “In those days it was a foreign environment for a pharmacist.” It was here that he recalls discovering how neuromuscular blockers were used to induce muscle paralysis, how supplements were used to aid nutrition and which antidotes to use for specific poisonings, all of which he had rarely encountered on a general medicine ward. Moving forward to 2018, pharmacists such as Tomlin and his team of six are now an essential part of the critical care MDT, aiding in the reduction of patient medication errors and mortality rates, and driving economic sustainability by advising on the prescribing of cheaper alternative therapies. 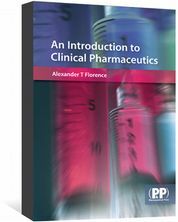 The role of a critical care pharmacist also extends to independent prescribing, providing teaching to peers, students, nurses and junior doctors, as well as conducting clinical research and drafting guidelines. 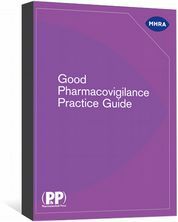 The National Institute for Health and Care Excellence (NICE) guidance on delirium and renal dosing, for instance, was authored by pharmacists. Gary Masterson, a consultant intensivist at Royal Liverpool University Hospital and president of the , says pharmacists are invaluable when it comes to treating patients with complex needs, such as organ failure. 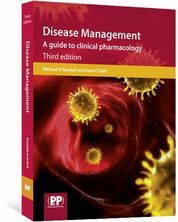 Masterson is also chair of the multi-professional Injectable Medicines Guide website , which provides a clinical interface between pharmacy and clinicians. Pharmacists played a huge role in drafting the guidance. Why make the move into critical care? 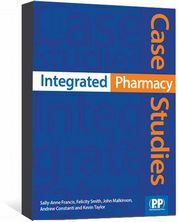 Many pharmacists make the shift simply because they want a new challenge and the ability to exercise their clinical reasoning. This was certainly the case for Mark Borthwick, a former community pharmacist and now consultant critical care pharmacist at Oxford University Hospitals NHS Foundation Trust. Over her extensive career, McKenzie has developed treatment plans, prescribed medications and led a pain, agitation and delirium service, ensuring patients received the correct sedatives, opioid analgesics and antipsychotics. McKenzie also helped to set up a competency framework for ICU pharmacists to ensure they thrive in an environment where patients’ needs can change by the hour. At Sheffield’s Northern General Hospital, consultant pharmacist Richard Bourne first became interested in critical care in the late 1990s. “When I began in critical care, I was a lone practitioner,” says Bourne. Today, he oversees a team of ten pharmacists and five technicians. 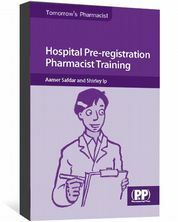 Bourne recruits Band 8A advanced-level pharmacists in critical care and Band 7 clinical pharmacists at foundation level, and supports them with extensive in-house training. “This has always been the best way to retain good pharmacists,” says Bourne, who works with his team members to help them move from foundation to advanced level by reviewing areas that may require improvement. This may include undertaking more research or developing better ways of working within a team. Bourne also travels the country visiting different centres to gather ideas on how to develop the critical care pharmacist’s role in enhancing medicines safety and improving prescribing. Pharmacists are often also required to make difficult decisions and not recommend a drug if they believe it is not in the best interest of the patient, warns McKenzie. “There are times when you may need to be assertive, be able to work quickly and often for long hours,” she adds.